The operator of an automobile has the duty to drive carefully and to share the road with all other vehicles – which includes motorcycles. When an operator of a motor vehicle does not drive with awareness and crashes into a motorcycle, or causes the motorcyclist to get into an accident by forcing the motorcyclist to take evasive action, the automobile driver is responsible for negligence. Ernst Law Group, a premier San Luis Obispo and California plaintiff’s rights law firm, aggressively protects the rights of those who have been harmed by the negligence of others. If you were injured or if a loved one lost their life in a motorcycle accident, Ernst Law Group has the experience, knowledge and resources to pursue a personal injury or wrongful death claim. Driver distraction is the result of the driver’s failure to adhere to required safety laws. Drivers have a duty to pay attention to the road and the act of driving. 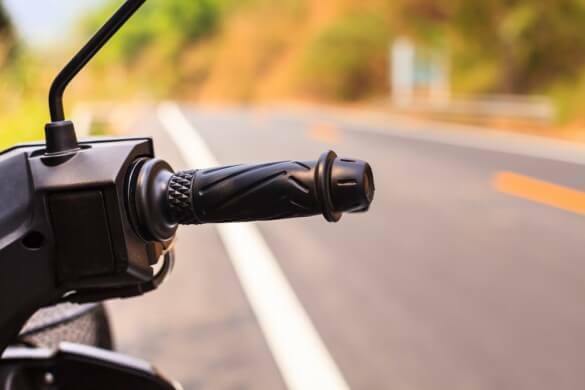 If a motorist is distracted by talking to other passengers, inserting a CD, reaching down to pick up food or drink, texting or other behavior and the distraction causes an accident with a motorcycle, the motorcyclist may seek compensation for damages. A motorcyclist who was injured as a result of a defective part may seek compensation from parts manufacturers, suppliers, distributors and others who may be liable for placing the motorcyclist at risk. Roadways must be properly maintained and safe for drivers and in certain instances a lawsuit may be brought against the government. If you were involved in a motorcycle accident that was caused by the negligence of another, you may recover compensation in a personal injury lawsuit. If a loved one lost their life, the decedent’s family may receive compensation in a wrongful death claim. Insurance companies generally do not have the client’s best interest in mind; they are concerned with saving as much money as possible by paying the least amount of compensation possible. When you are represented by an experienced, skilled and highly respected lawyer from the Ernst Law Group, insurance companies and liable third parties are more inclined to pay, because they know that your Ernst lawyer will not hesitate to take the case to trial for a verdict. For a free case evaluation, contact The Ernst Law Group by calling (805) 678-0272. There are no upfront fees in a contingency case; if we do not win there are no fees at all.